The answer to the riddle is the object of the puzzle. 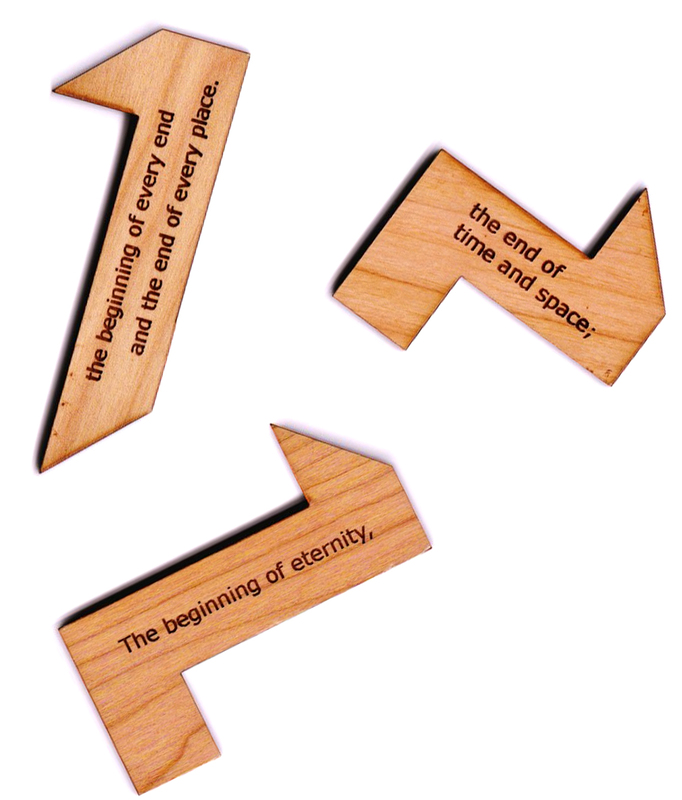 Lay out the three wooden pieces in a logical order to arrange the words of the riddle. Once the answer of the riddle is learned it becomes obvious as to what shape the pieces should form. 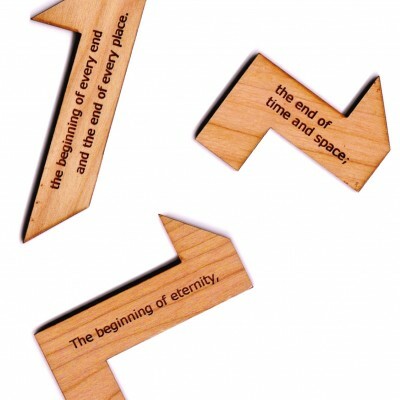 Each of the pieces is made of hard wood and the riddle has been laser engraved on them. The pieces are approximately 3 inches long, 3/4 inch wide by 1/4 inch thick. Includes more thorough instructions plus some clues. See the 5 Puzzle Special.